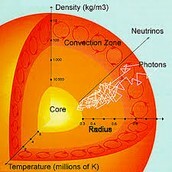 The core is the innermost layer of the sun. Its density is 10 times greater than lead, even though its not solid, it's a gas! The core's temperature is 15 million degrees Kelvin. The temperature of the Radiative Zone is cooler than the core of the sun. It is approximately 2500,000 degrees Celsius. 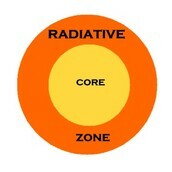 The energy in the radiative zone moves from atom to atom in the form of radiation. The Convective Zone is the area of the sun that is just under the surface. The temperature at the surface of the convective zone is about 5,700 degrees Celsius the temperature towards the center of the convective zone is around 2,000,000 degrees Celsius. The liquid inside of the convective zone is in a constant turbulent state. 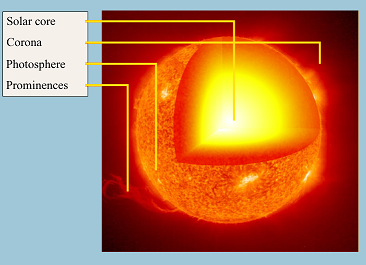 The photosphere is the surface of the sun and the only part of the sun we can see. It is the part of the that we are the most familiar with. It is in a gaseous state. 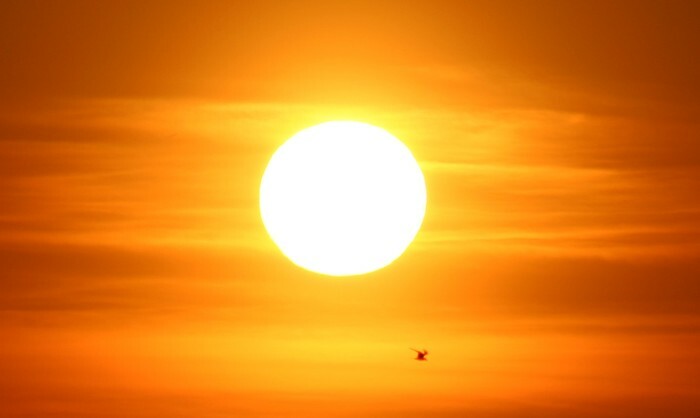 This layer of the sun is 100km thick. 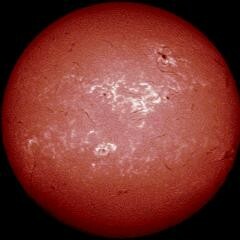 The Chromosphere is an irregular layer of the sun above the Photosphere. The temperature ranges from 6,000 to 20,000 degrees Celsius. The high temperatures allow the hydrogen to give off a reddish color. The Corona is the Sun's atmosphere. It is visible during total eclipses of the Sun. The Corona displays many features including streamers, plumes, and loops. 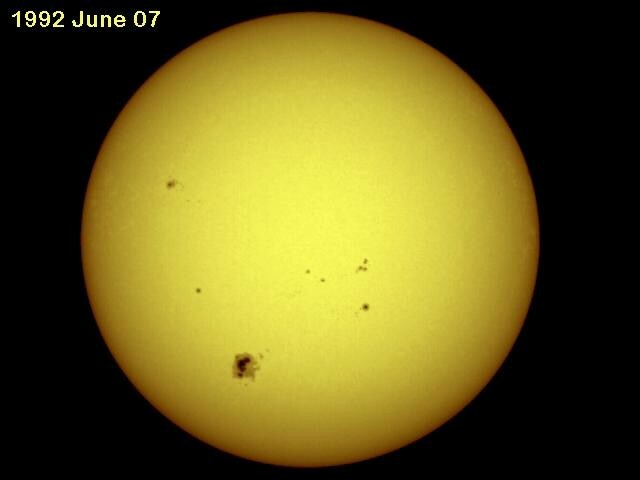 Sunspots are dark spots that move across the surface of the Sun. Sometimes they can be as wide as 50,000 miles in distance. Solar prominence is an arc of gas that erupts from the surface of the Sun. Prominences can loop hundreds of thousands of miles into space. Prominences are held above the Sun's surface by strong magnetic fields. 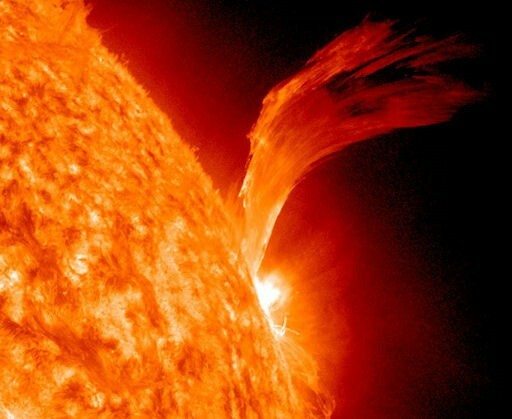 Prominences will, at some point, will erupt and spew enormous amounts of solar material into space. 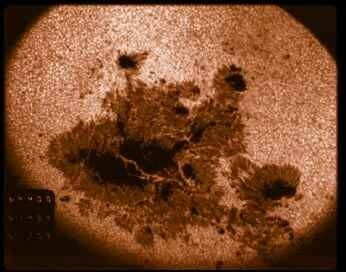 A solar flare is a magnetic storm on the Sun that appears as a bright spot and gaseous surface eruption. 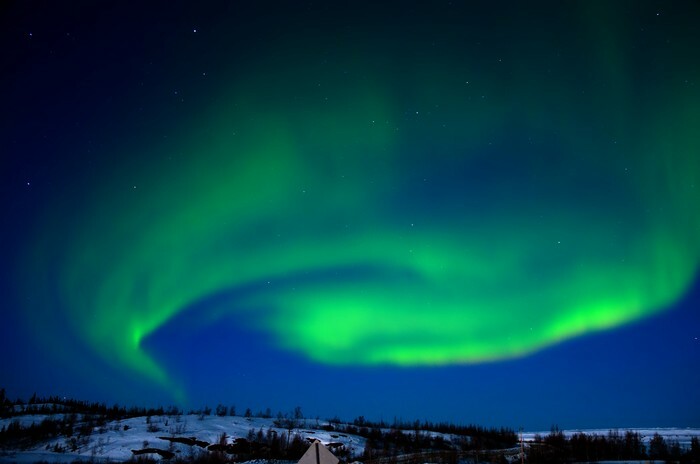 Auroras are common occurrences at high northern and southern latitudes. Appear in colors like green, red, blue, violet, pink, and white. The lights that are shown are fueled by electrically charged particles from the sun that are trapped in Earth's magnetic field.